EURONAV - Officers conference was held in Burgas on 15 June 2016 at Primoretz Hotel. 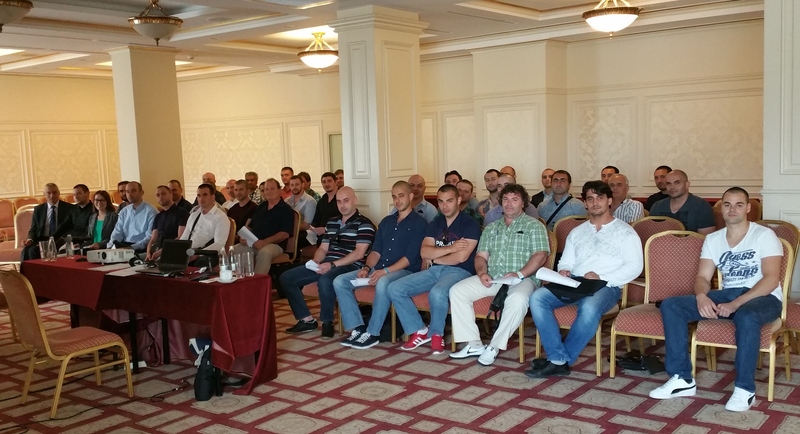 Bulgarian junior officers on vacation, chief officers, 2nd engineers and electricians took part at the conference. Various presentations were delivered by Capt. Nikos KOULOURIS, Fleet Personnel Manager of Euronav focusing on the imperative need of sea staff safety culture improvement with emphasis on “safety awareness” and “personal safety” along with culture harmonization, effective on board communication in a teamwork spirit and the important role of all crewmembers with emphasis to the lower ranks. An “open discussion” session was also held in the afternoon during of which the addressed by the participating Staff topics were discussed.